Gypsonic is India's only genuine G.R.G. 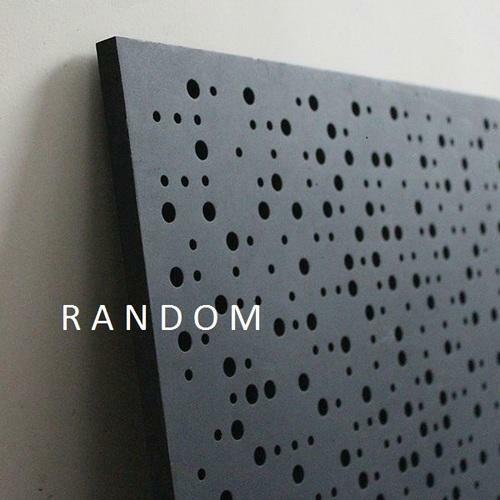 (Glass-fiber Reinforced Gypsum) & also born perforated Acoustic Panels. It is free from faults. The reinforcing material is not paper but pre-stressed glass fiber which is also incombustible like mineral gypsum. Every reinforcement material has certain life but Glass (fiber) is age less and can remain as it is in any odd weather conditions. If applied systematically using sufficient supporting framing it is prone to wrap or sag under odd conditions. Over all it is 'Zero Defect Product'. It is available in aesthetic fully perforation patterns appreciated by Acoustic consultants and Architects. On T section our panel wouldn't be bend, sag or wrap for lifetime. With guarantee. Established as a Sole Proprietorship firm in the year 1994, we “Classic Gypsum” are a leading Manufacturer, Trader, Importer and Exporter of a wide range of Ceiling Tiles. Situated in Surat (Gujarat, India), we have constructed a wide and well functional infrastructural unit that plays an important role in the growth of our company. We offer these products at reasonable rates and deliver these within the promised time-frame. Under the headship of “Mr. Piyush Mistry” (Proprietor), we have achieved a noteworthy position in the market. We also import products from Iran. We are third generation in the field of Gypsum and false Ceiling Industry. In past we manufactured Ornamental Moldings in gypsum and also precision installation contracts. We study international specially European markets, by that we learn that in European markets G.R.G. is latest and advance technology in false ceiling industry. We introduce this type of ceiling panels first time in India. Since about last ten years we have manufactured Fully Perforated G.R.G. Acoustic Panels. We also accept Customized Design in same. We have made this type of designs for world ranker U.S. base Architect for their Seven Star Hotel’s Banquet Hall and an Airport Project. Our principle is ‘Improvement Infinitive’ and by this habit we discover our own recipe and formula which make our panels durable. GYPSONIC panels are more durable than imported G.R.G. panels available in market. Our city Surat’s pioneer educational institute, Gujarat’s biggest religious cults and country’s top Architects and Acoustic Consultants regularly use GYPSONIC Acoustics Panels for their prestigious projects because of their trust in our product and our relation with them.